I first ran into the recipe for this classic in Bitters by Brad Thomas Parsons. It’s an excellent book and I recommend it highly, which is also how I feel about this particular cocktail. 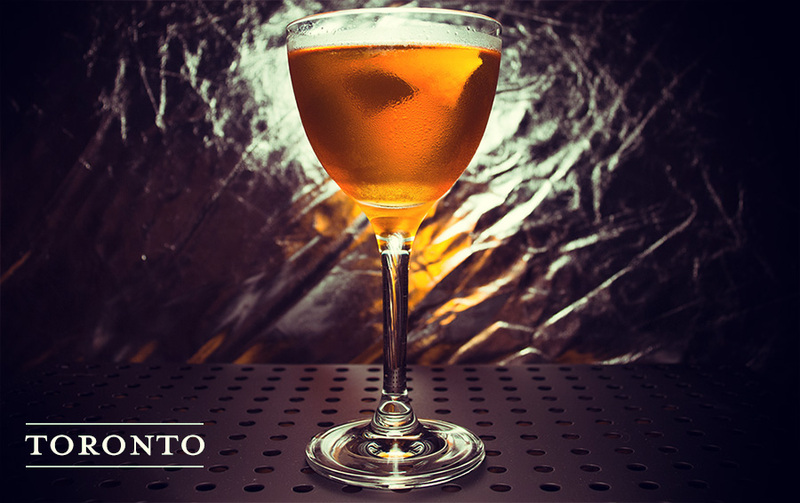 Tracing back to at least the 1920s, the Toronto appears to be influenced by a wave of Italian immigrants into Canada, who brought amaro with them and would potentially have enjoyed mixing them with the local whiskey. Canadian whiskey, while mellower than American rye, is still made from a high-rye blend of grains. You can use either in this drink. It’s essentially a Manhattan that uses a small amount of Fernet Branca and some simple syrup to replace the sweet vermouth, but there’s nothing wrong with that! Fernet Branca has a very different (and very strong) flavor, and it makes for a drink that’s heavy on the cloves and more bitter than a typical Manhattan. If you’ve got a bottle of Fernet, this is an excellent use for it!